Toefl iBT Activator is a four-level test prep series designed to develop reading, listening, speaking, writing and grammar skill for students who want to improve their score on the Toefl iBT. The Series offers a wide range of English proficiency skill for beginners to advanced learners. Toefl iBT Activator provides essential and accurate strategies for all types of Toefl questions in the reading, listening, speaking and writing sections. It also offers step-by-step exercises to help tesk-takers respond easily. Toefl iBT Activator user vocabulary, expressions, and sentence structures appropriate for each level. The ralative difficulties, Passage lengths and contents are subdivided into levels from the beginning to the expert. 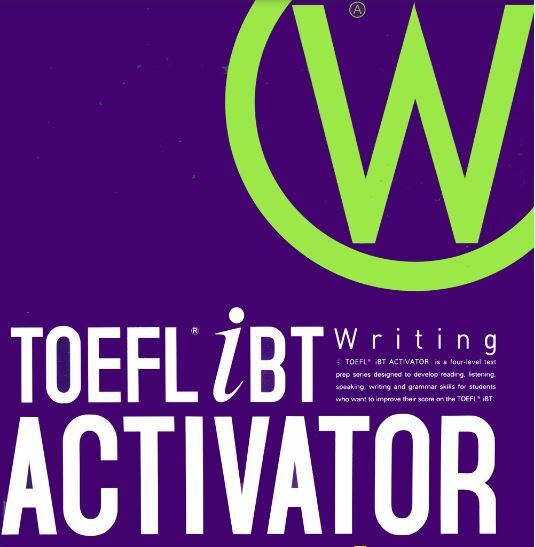 Toefl iBT Activator is an effective language educational resource to prepare for Toefl iBT. It provides various exercises, including progress and actual tests, vocabulary check-ups and other important learning tools. – Strategies to help students write logical essays. – Step-by-step exercises which familiarize students with the Toefl iBT test format.